This look does double-duty as a gym to street option or for weekends hanging out at home. Levi’s Boyfriend Denim Jacket under $100 (wearing size small) // High- Waist Leggings // Alo Tank // APL Sneakers in clay and similar color here. 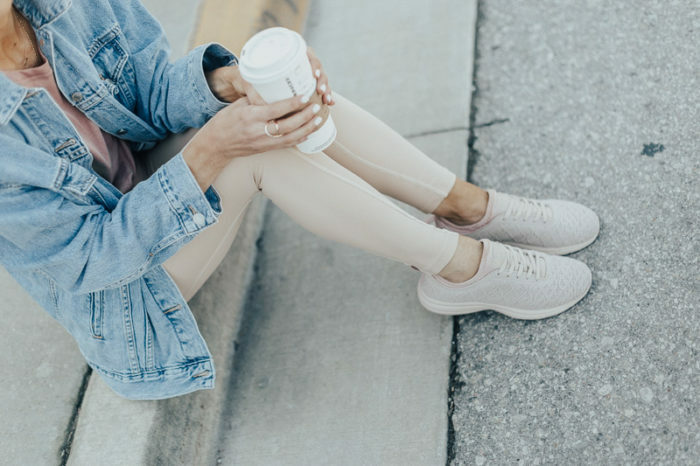 I am loving all things light, bright and neutral for my gym look to street looks. There is something about spring and the warmer temps that makes me want to ditch all my black gym clothes for pretty pastels and nudes. This jean jacket sold out everywhere but finally got stocked here in all sizes! I love the boyfriend fit and it’s under $100! These APL sneakers, seen here, are another most-worn. 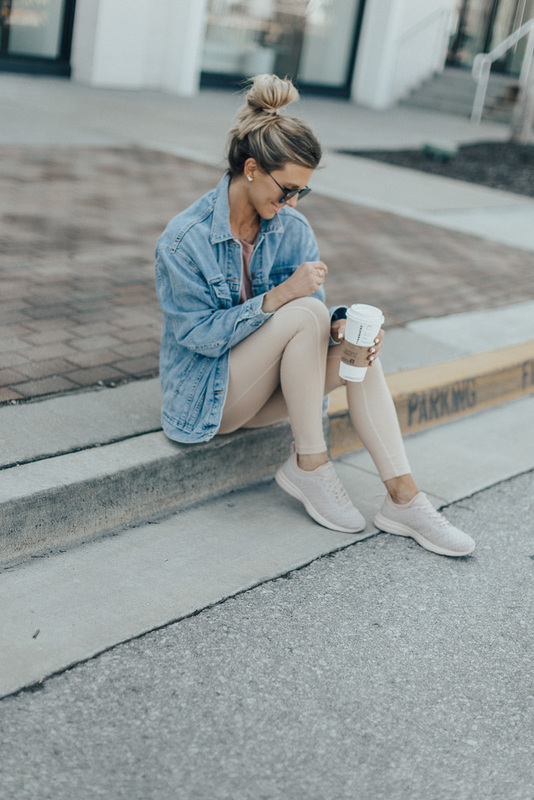 What are your go-to colors for spring athleisure wear? Great post! I love the denim jacket added to the sports wear. It has that cool, fun look that’s easy to pull off. How do the pants run in size? TTS? Thanks!